For example if you accidentally clicked stop when you meant to click pause, you could join the two sessions into one. 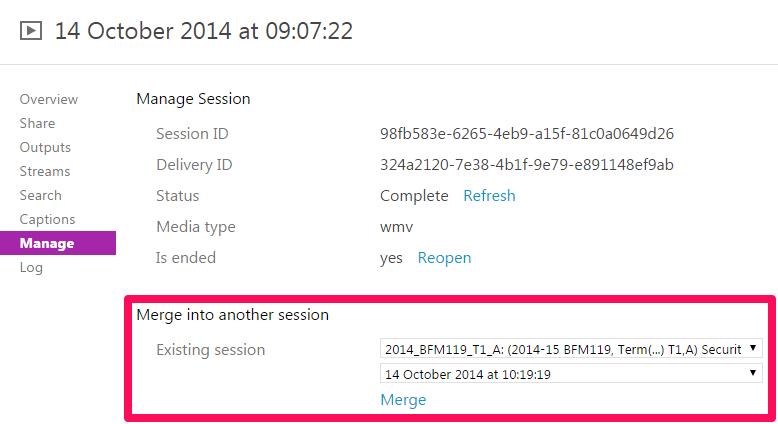 The target session will be made unavailable while the sessions are merged together. Click OK to begin the process.